Once again it is time to celebrate doing what we love to do. Gardening! Growing our own food! What better way than to come together and share seeds, saplings, experiences, stories, harvests and smiles.....to relive those joyous moments of growing our own food, the challenges we faced and how we overcame those . While all this has been happening in many small pockets around the country and the world, at a macro level our food and farming are under threat from many sides. Pesticides, genetic modification and adulterants threaten our food and well being on one hand while farmers are suffering at the other. So our learning and work to grow our own food takes on a new urgency and is becoming increasingly relevant and critical to the well being of one and all. For the last four years the expanding community of Urban Leaves members from diverse backgrounds has been growing some of their food on their window sills, balconies, terraces and open spaces and within community gardens. The group has discovered acres of land to grow food in this space starved Mumbai City. While doing this we have forged new friendships, shared creative tips and learnt the importance of building a socially aware, supportive communities. 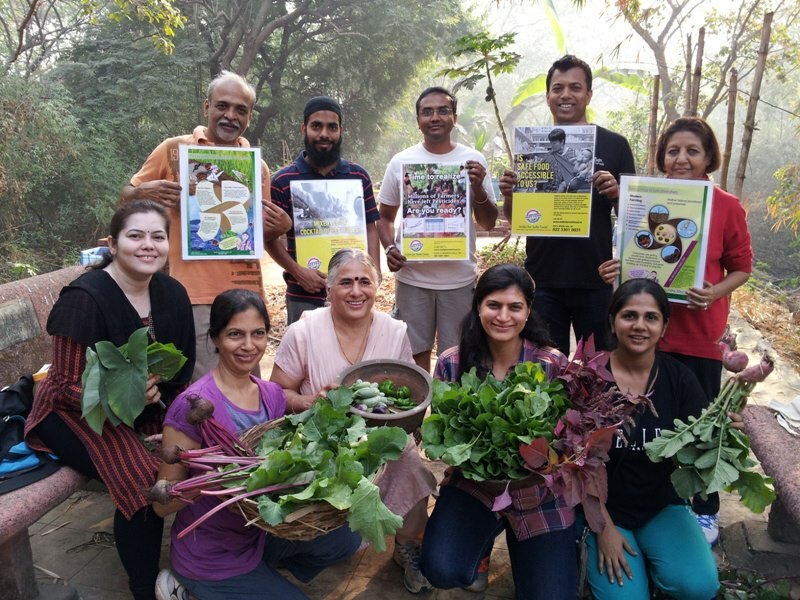 Mumbai urban farming groups have now come together this year to co-create an interactive gardening event . Urban Leaves, Green Souls, Fresh and Local, Blooms, Earthoholics we hope the bandwagon grows.... It will be a daylong event from 9.00 am to 6.00 pm. This year we invite schools and housing societies to join us.Schools can sow the seeds of a urban farming in the young minds of children and housing societies can carry forward the initiative at a community level. 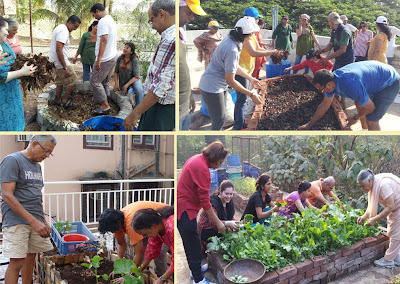 The idea is that World Kitchen Garden day can serve as a platform for schools and housing societies to interact and initiate new projects with groups working in their areas. These new relationships will play a pivotal role in taking this movement forward. We all have attended conferences and seminars. We have listened to wonderful and inspiring speakers and have been motivated by them. However it is often the very simple solutions offered across discussions /personal exchanges that have helped us in our day to day lives. 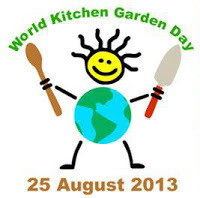 This is precisely the kind of exchange we wish takes place on the World Kitchen Garden Day. Since the movement began there are so many of our friends who have evolved as gardeners, gained experience in growing food, dealing with waste, starting new community gardens and found creative ways of dialogue with our neighbors to bring in new ways of thinking. Sharing these experiences is what will enrich all of us- learning from each other! A few members attended the Learning Societies Unconference this year and are inspired to try the same format or un-format on World Kitchen Garden day. We will have small parallel workshops, informal gatherings where people will share their knowledge with each other in smaller more intimate settings with a deeper level of sharing. There are no keynote speakers or rigid agendas, the participants themselves co-create the structure, share and connect resulting in one of the simplest, most brilliant combinations of order and chaos. The topics already suggested are listed below. Review them, send more suggestions! Offer workshops / share experiences on any relevant topic they may wish to and /contribute to this list. Participants can offer these exchanges through gift workshops. We hope kitchen gardeners will come forward to gift and exchange/share experiences. This can be pre-decided and discussed and any one of you willing to share may please write to us @ urbanleaves at gmail dot com. As you register, you can become a member of our Facebook group WKG Day and start interacting with participants. This continued interaction will evolve into the final structure of the World Kitchen Garden Day which will be shared with everyone by the 21st of August. So come share your ideas so that together we can shape the events of this day and in this process forge new friendships and bonds. In case of any doubts please refer to our set of FAQs HERE.